Many people with acne-prone skin have complexions on the oilier side, caused by the overproduction of sebum, or oil, by the sebaceous glands. The natural reaction for most people is usually to dry out any oil that reaches the surface of the skin with a topical cleanser, which can actually worsen acne symptoms. A normal amount of oil is needed in order for the skin to function properly, and when we strip our skin of these necessary lubricants, whether by over-washing or improper hydration, the skin’s cells become stripped away as well, allowing moisture to escape, and leaving skin dry. When skin becomes too dry, it can encourage sebaceous glands to produce extra sebum to replace what was just removed. This excess oil, in combination with dry, flaky skin cells that accumulate on the surface, can clog pores and lead to breakouts. Therefore, it is extremely important to consider what changes to make internally, while pampering your skin on the outside during the winter months. To keep your skin hydrated this winter, look to these minor changes and go from dry and tight to rosy and soft. Drink up. This one may seem like a no-brainer, but it can be easy to drop the ball when it comes to staying hydrated in the winter. Because the temperatures are so low, we tend to have less of a thirst to quench and can easily become dehydrated. It’s important to make your water intake a habit during the months when your body may not necessarily tell you it’s thirsty. On average, men need 13 cups of water per day and women need 9 cups. Keeping skin cells hydrated is an important part of maintaining healthy skin. Eating fruits and vegetables is a great and tasty source of water. The best options are cucumbers, celery, lettuce, radishes, grapes, watermelon, tomatoes, bell peppers, spinach, strawberries, grapefruit, broccoli and cauliflower. In addition, adding salty soups or snacks can help with retaining what water you do have. If you are unable to track your daily intake of water, a good indicator is to look at the color of your urine. Clear to light yellow is ideal, anything darker means you’re not getting enough. Switch up your face wash. If a topical face wash or lotion is part of your skincare regimen, be sure to use one that will benefit your skin according to the season. Washes intended for acne-prone skin can sometimes be harsh in the winter months, especially those containing gritty, abrasive exfoliants. Opt for a gentle, soap-free cleanser to keep complexions from drying out this winter. While exfoliating the top layer of dead cells is important in the cold season, you don’t want to irritate skin, so try switching up the scrub for a milder solution, such as a lactic or glycolic acid formula. Add a humidifier. If you live in an older home or building with forced, hot air radiating from your heating vents, your skin might have a harder time staying moisturized regardless of how much water you’re drinking. Running a humidifier in your room at night will give your complexion a gentle dose of humidity it wouldn’t normally get on these long, cold nights. When considering ways in which to add more moisture to our bodies and skin, it is important to remember that preventative measures can be taken as well. The transition from hot to cold as we leave our heated homes to head out into the cool air is something many people are not even aware of, but these drastic changes can wreak havoc on your skin. Cold air or wind can drain moisture from the skin, so be sure to wrap up in a scarf to keep whipping winds off the face. The temperature and length of our showers is also something to consider, as hot water can dry the skin, so be sure to keep showers short and not too hot. Finally, a non-comedogenic moisturizer is an essential part of winter skincare, keeping moisture locked in, while offering your complexion a cool, refreshing drink to maintain hydration. If you live in a region where seasonal changes are part of life, the needs of your skin will constantly change, and finding a solution that works best for your complexion and your lifestyle is an important aspect of skincare. Despite the environmental changes that are beyond our control, the cycle of acne begins internally, making it necessary to target the source to address the cause of acne before it starts. 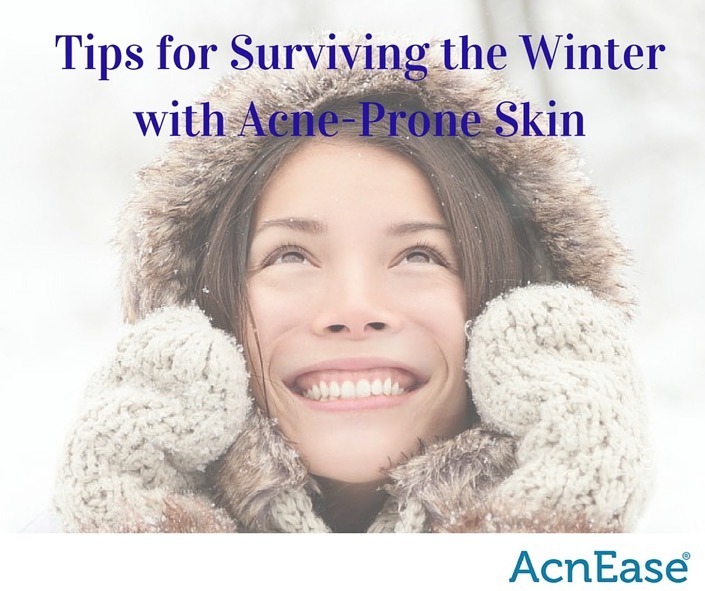 Luckily, AcnEase®, a systemic solution that works from within to stop the cascade of acne from it’s earliest stages, works all year-round, regardless of the weather outside. 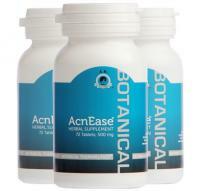 Much like the science behind AcnEase®, hydrating the body is an inside job, and should be treated as such. Pairing proper hydration, a moisturizing regimen, and AcnEase’s® systemic solution is your best bet at achieving beautiful skin, every season of the year. We want to hear from you! How do you keep your skin hydrated during the winter? Any exfoliating or moisturizing tips? Tell us in the comments below!